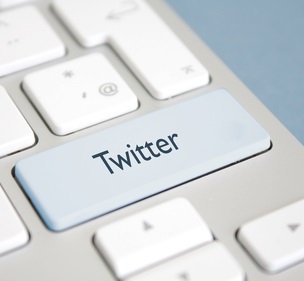 How long will you ignore using Twitter, as a jobseeker? If you’re a modern-day jobseeker, you should develop a mind that constantly looks for innovative ways to find jobs as well embraces the latest technologies. If you’re not aware, Twitter is one of those social media networks that posts thousands of jobs every day. So, why should you miss out on the opportunity? While using Twitter, there’s one effective technique that helps you find specific information easily and quickly. We call it a hashtag (i.e. ‘#’). Since Twitter has millions of users from all across the world, it’s quite easy to lose yourself in the flood of information. Most importantly, you should also be ready to avoid those pieces of news that aren’t related to your field or won’t bring you any benefits if you’re a jobseeker. When you’re on Twitter, you need to filter information and gather only what provides details about a job you’re looking for or a career you’re interested in. Thankfully, Twitter hashtags are an efficient way to discover just what you need while leaving out everything else. But, first you should know what is it that you’re actually looking for? If you’re looking for job search advice, for example, you may use hashtags like #jobadvice, #jobsearch, #jobhunt etc. You could also decide to participate at a Twitter chat that revolves around your topic of interest. For example, you may join #jobhuntchat, if you are planning to gather tips on job hunting. Twitter chats also provide you with an opportunity to standout as well as connect with influential people, professionals, and recruiters. Depending on your specific requirements, you may also want some useful information on resume writing. Therefore, you should use hashtags such as #resume and #resumewriting. Likewise, hashtags like #career or #employment allow you to collect information on career advice. If you’re looking for specific job information, you need to use hashtags such as #salesjobs, #journalismjobs, #engineeringjobs, #marketingjobs and #greenjobs among others. There are many other types categories or types of such hashtags that you can use to find exactly what you’re looking for. In fact, there are specific hashtags for simply every type of information or news that you may want. All you need to do is find relevant hashtags and use them to conduct your search and get the desired details or information. There are two ways to use such hashtags. Either, you should use a Twitter tool or go directly to Twitter and conduct your search with your specific hashtag. One of the best tools that you can use to help your job search is HootSuite. With the help of this tool, you’ll be able to gather information on a particular topic by setting up hashtag filters. Once you set up the hashtag filters, you’ll see only those pieces of information that are useful to your needs. There are many other Twitter tools like these, and many are free to use. Remember, social media is not just for family, friends, and colleagues. If you’re already on Twitter, you should get smarter quickly and start using it to aid your job search and get help with your career. If you don’t have a Twitter account already, it’s just the right time to create one.